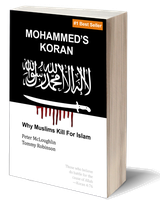 From around the world, some of the hundreds of 5 star reviews Mohammed's Koran received in the first few months following publication. Each review comes from someone who bought the book. If you are skeptical of any review, a URL is provided at the end of each review, so you can verify each review. Excellent book. Excellently written. A must for all. My husband was so interested to read this book, I never saw it for a month!